Although many religions built temples for worship of the 'sun god(s)', many structures were built with specific alignments and points that allowed astute observations of our star. The Nabta Site in southern Egypt is probably one of the oldest, constructed over 6000 years ago with vertical 'sighting' stones that corresponded with the zenith of the sun at the summer solstice. Also in Egypt, the Temple at Karnak, first built in about 2100 BC, was aligned in an east-west direction. The length of the temple allowed accurate determination of the length of the year. The passage of the Newgrange (tomb?) in Ireland (built 3200 BC) is illuminated by the winter solstice sunrise for 17 minutes. The famous Stonehenge in Salisbury, England, built in stages from 2950 BC to 1600 BC, has a number of its standing stones aligned with specific stars and the 'heel stone' aligned with sunrise of the summer solstice, creating the illusion of the rising sun balanced on the top of the stone. At Chichen Itza (Maya, built 1000-1200AD), the northwest and southwest corners of the main pyramid are aligned with the rising sun on the summer solstice and the setting sun of the winter solstice, respectively. On the days of the equinoxes, the shadows of the setting sun slither down the north face steps like a live snake. At Machu Pichu (present day Peru), the 'Temple of Three Windows' faces the summer solstice. Medicine Wheels on the plains of the western US and Canada are arrangements of stone cairns that point to sunrise on the summer solstice. In 1279 AD, one of many Chinese observatories was built in Gaocheng, China, allowing a remarkably accurate calculation of the length of the year (365.2524 days). Between 1724 and 1730, the Indian astronomer-king of Jaipur built 5 observatories that allowed calculation of the longest and shortest days of the year, precise position of celestial bodies in the night sky and accurate time calculation (New Dehli) using an enormous sundial. 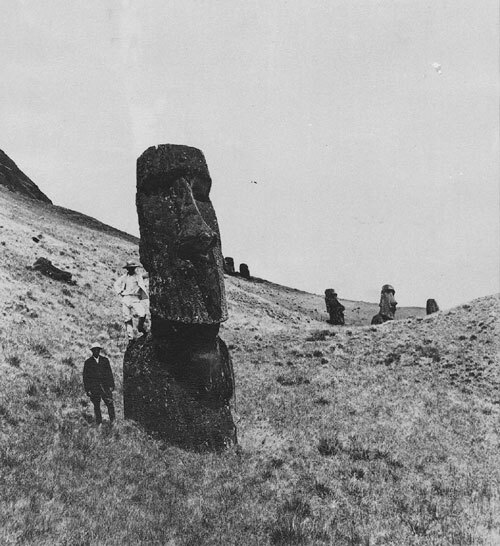 Even in the isolation of Easter Island (off the coast of Chile), natives erected tall stone statues (moai) with 7 particular ones facing directly at the setting sun during the equinox.